I have always had problems with effective hair removal. Unfortunately, I am allergic to both waxing as well as hair removal creams. The only thing left to do is using a razor. The pain of using a razor is its after effects. One is darkening of the skin and the other is the burning sensation it gives post usage. But people like me obviously have no other option left. 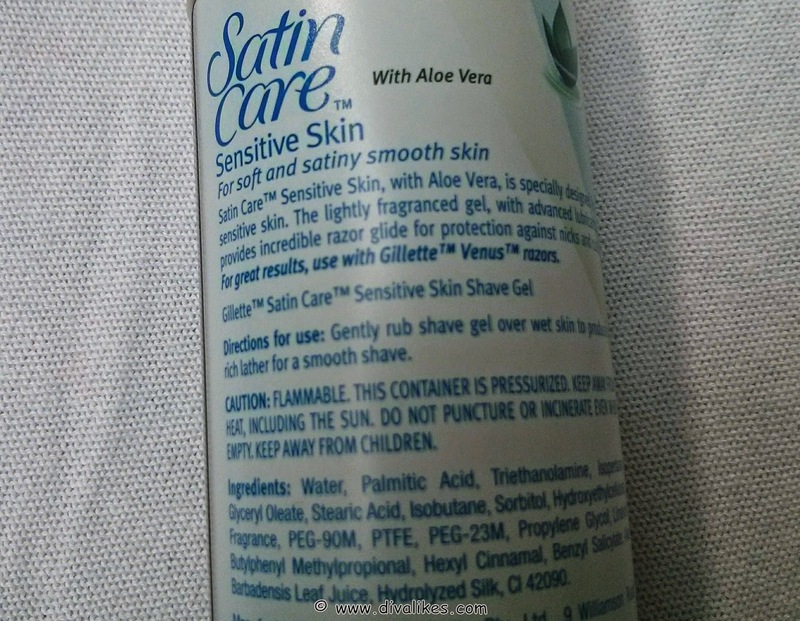 A few days back I was introduced to Gillette Satin Care Shave Gel through a friend. I thought I should give it a try and picked up one for myself from the nearest drug store. I had absolutely no idea how this product was going to be, except for the fact that my friend was blindly vouching for it. To be honest, I was expecting quite a lot from it. 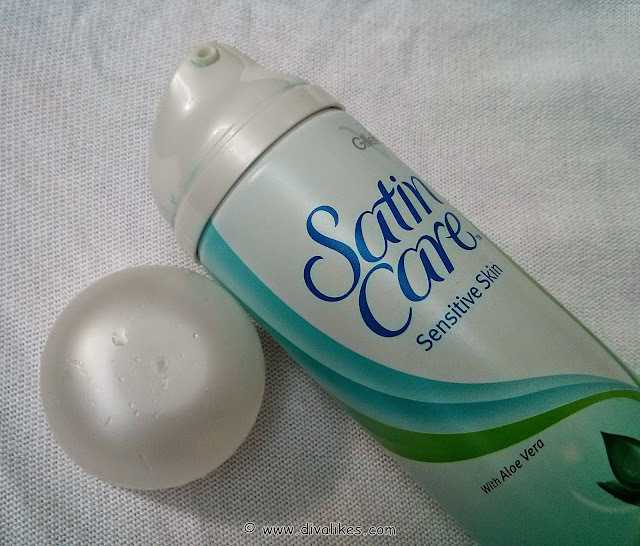 Read on to see if the product kept up my expectations or not! 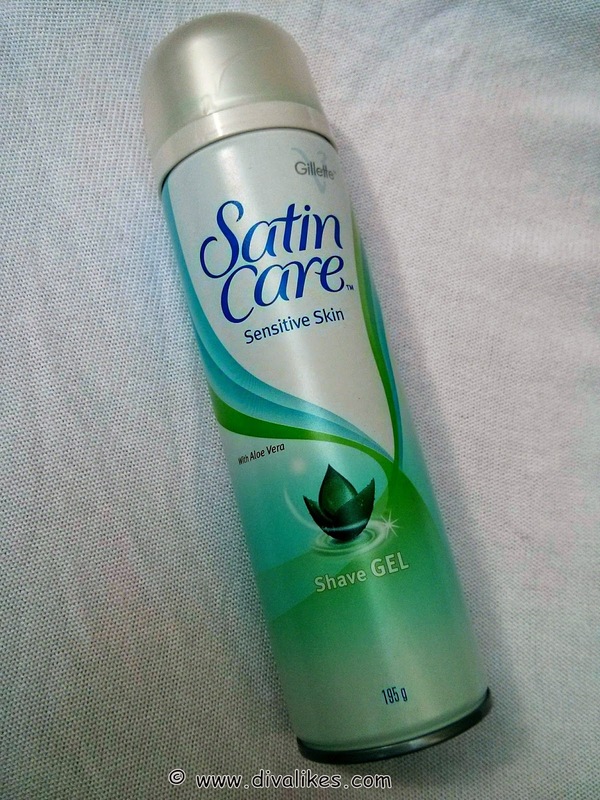 Satin Care Sensitive Skin shave gel helps protect your sensitive skin. Provides incredible razor glide, protecting you against nicks and cuts, and leaves you soft and smooth every time you shave. - Amazing glide for protection against nicks and cuts. - For great results, use with Gillette Venus razors. - For ultra-smooth skin, soak the hair for 2-3 minutes with warm water, then lather up with Satin Care shave gel and shave with your favorite Venus razor. It comes in a long metal tin, similar to the birthday spray foam tin. The cap is plastic but does not close too stiffly. It keeps falling off with even the slightest jerk. The mouth of the tin, which I would call the dispenser, looks a lot different from the other shaving foam dispensers you see. It does not look like a perfume spray mouth but looks more like a head with a small opening. When you press it, the product gets dispensed. 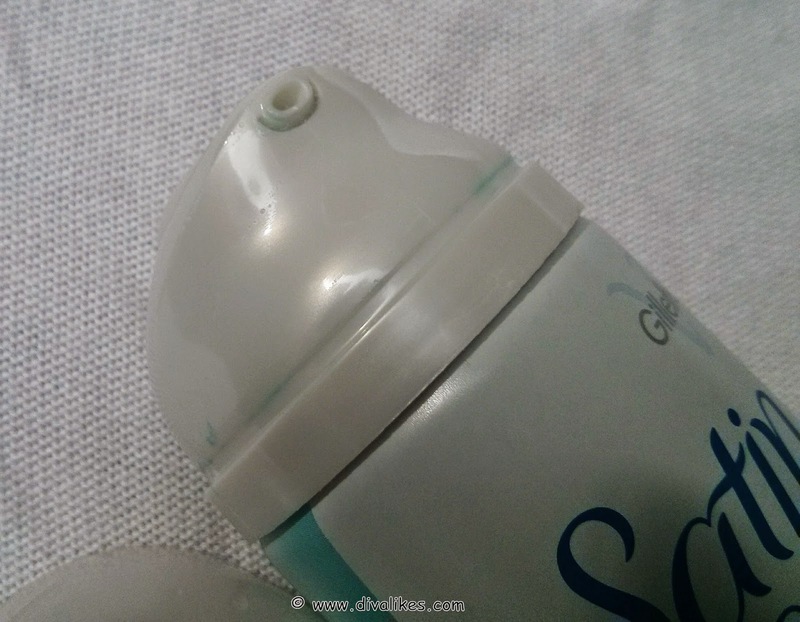 Generally, shaving gel containers need to be shaken well and the head needs to be pressed which in turn releases foam (which is actually the liquid converted into foam due to shaking). This is something I learnt from my dad and this is what I expected to happen with this container of shaving gel too. In fact, anyone would expect the same. But when I shook & pressed the head, a blue colored toothpaste like gel came oozing out. 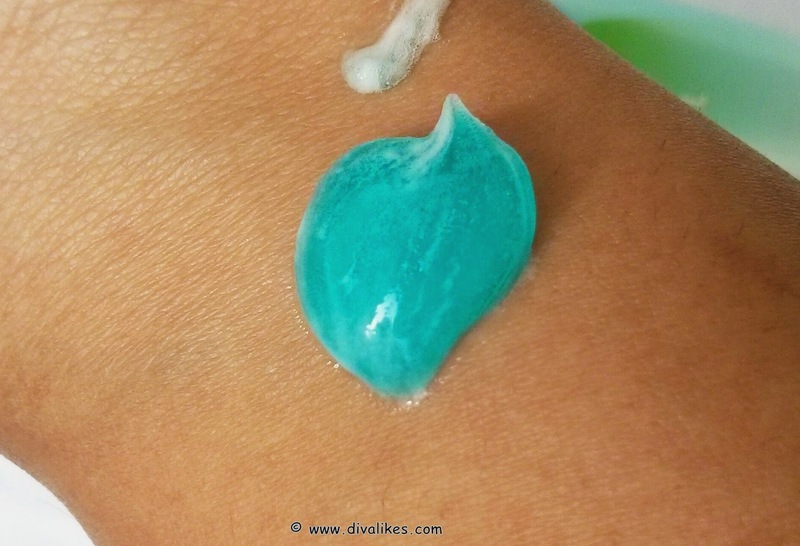 When I spread this gel over my hands, it made a foamy layer. It was only then I realized that this product works a little differently from other shaving gels. The container does not have to be shaken vigorously. Instead, it just needs to be pressed to dispense the gel as required. 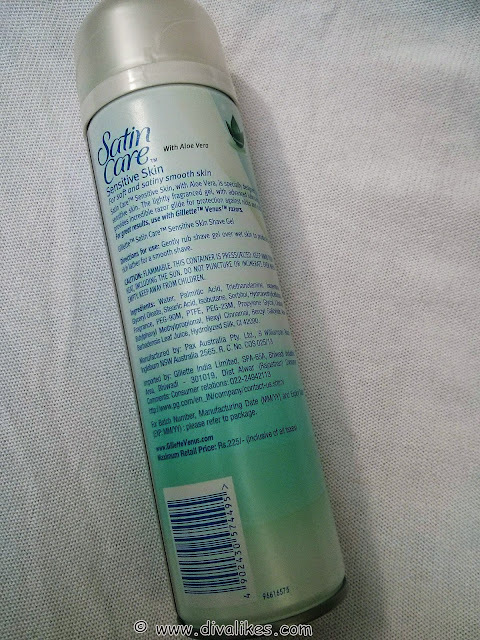 What really surprised me was that only little quantity of the product is more than sufficient to cover an entire limb which gives effective results. This shave gel contains Aloe Vera and vitamin E which are really good for skin and can protect it from any sort of cuts or nicks. The shave gel has a mild smell which is perfect for use. 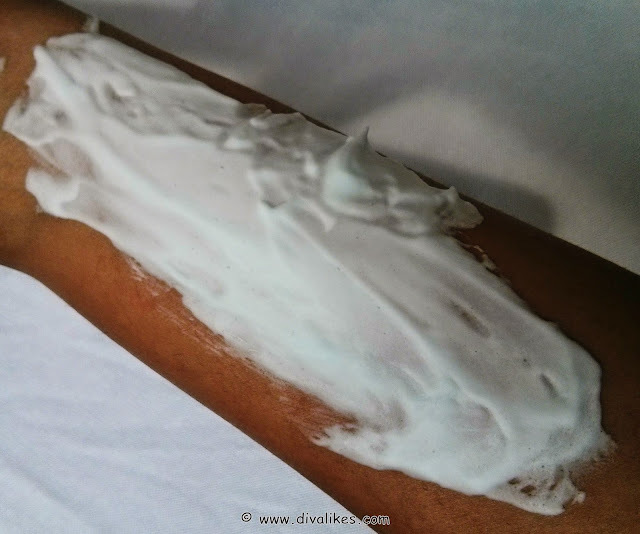 Once applied, you need to start working on the razor as the foam starts settling quickly. Once that happens, the effectiveness starts fading away. So, do not waste the time and start your work as soon as the gel is applied. Once cleaned, it gives the smoothest and most painless shaving experience ever. The skin feels smooth with a satin touch. It does not leave behind any remains and more than anything it gives a clean finish. There is no burning, no rashes and most importantly no skin darkening or scarring. This is absolutely a wonderful shave gel which every women would love. I am not going to let it go and will keep on purchasing it! Smells very mild and great. I love the packaging, except for the cap. The consistency is really good. Small quantity is more than sufficient for a smooth shave. Gives an effective result with smooth & satin touch skin. The cap of the product is loose. This an amazing shave gel for everyone who uses razor for hair removal. It gives a smooth and satin touch skin which is the dream of every woman. I love it so much that I will vouch for it even in my sleep. Hey this review is very helpful...Need to try this one. Thanks Kriti :) it will rock your world! This looks really good...worthy product for ppl who use razor! Yes Lavs :) it's definitely worth a try. Yes Divya, you have to try this is you're a razor person.